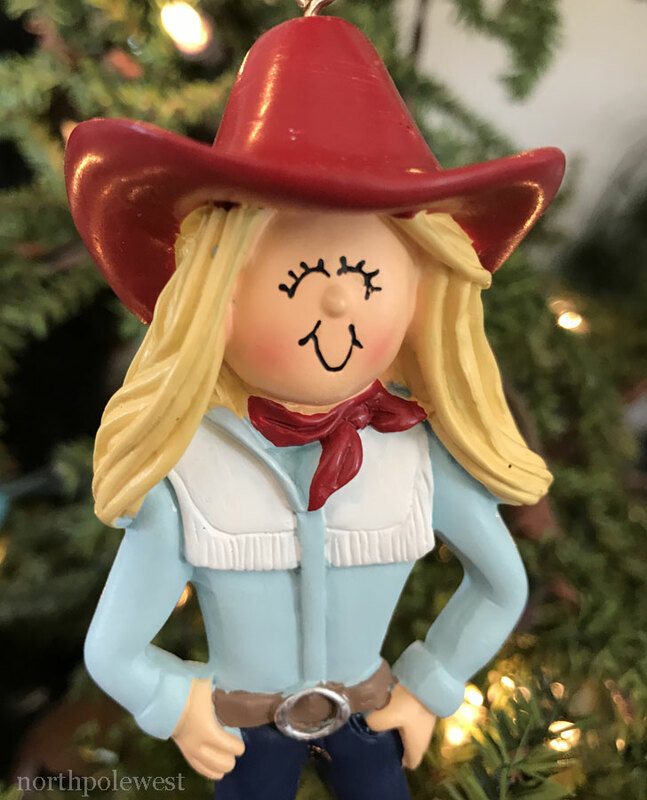 Blonde Cowgirl with Red Hat Ornament - "Annie Opry"
Very cute cowgirl Christmas ornament with fun details and festive colors Can stand on own so she would fit in with display and would be great for cake topper too. There is plenty of room for personalization. This is a fun ornament year-round. Comes with red ribbon hang loop. 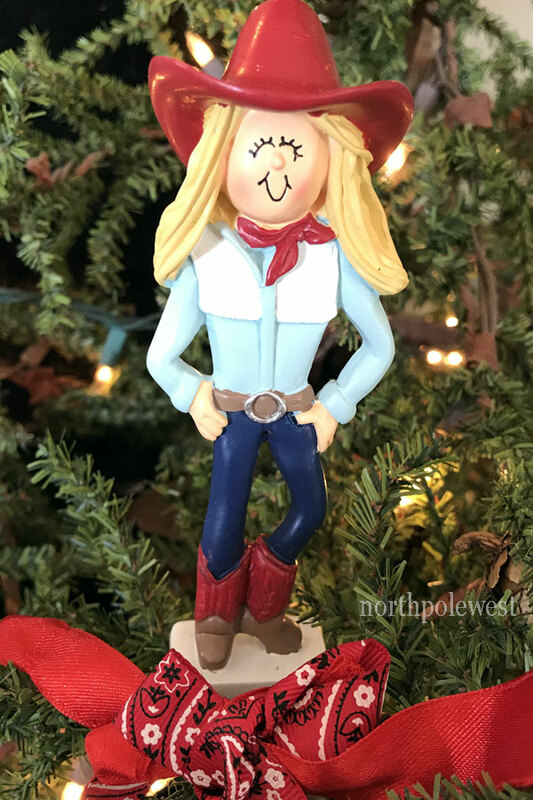 resin 5"
Very cute cowgirl Christmas ornament with fun details and festive colors Can stand on own so she would fit in with display and would be great for cake topper too. There is plenty of room for personalization. 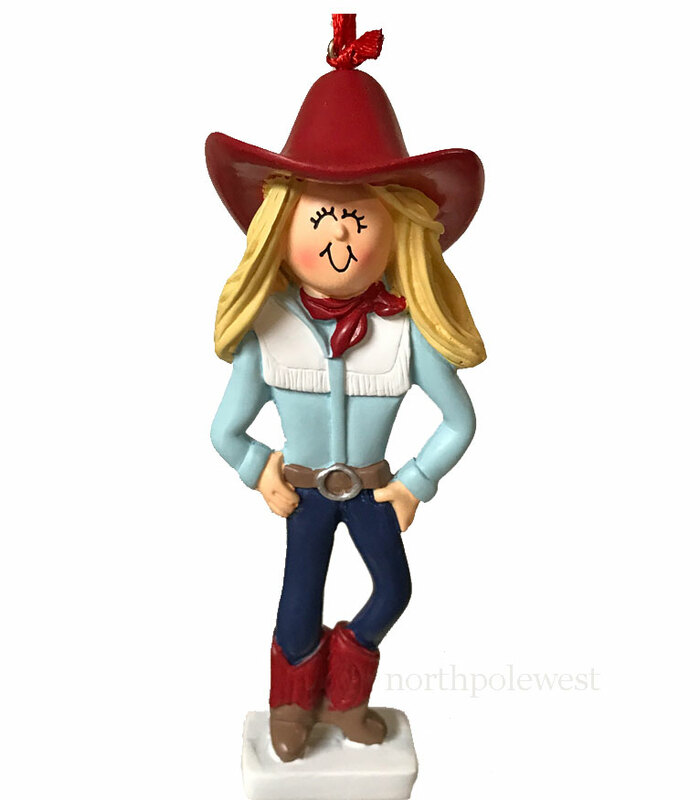 This is a fun ornament year-round. Comes with red ribbon hang loop.